The University of the Witwatersrand’s School of Public Health, in conjunction with the Special Programme for Research and Training in Tropical Diseases (TDR), hosted at the World Health Organization in Geneva, Switzerland, invites suitably qualified candidates to apply for University of Witwatersrand Postgraduate Training Scholarships, a full scholarship supported by TDR to undertake the full-time Master Degree Programme in the field of Implementation Science. Application Deadline: 31st July 2018.
health-related fields; statistics and other quantitative fields, as well as demography and social sciences. The degree programme should also appeal to candidates who want to become more involved in research in health-related fields. Be resident in and a national of a low- or middle-income country in the WHO African Region. Applicants should normally be 35 or younger for the Master Programme. Women are encouraged to apply. Be interested in developing a career in implementation research on infectious diseases of poverty. Basic medical and accident insurance. Monthly stipend to cover living expenses including accommodation. Support for the research project expenses. Further, recipients’ careers will be tracked with the new TDR Global alumni and stakeholder platform that will monitor the impact of the programme, as well as provide networking and increased visibility opportunities for the Fellows. Duration of Programme: Full duration of candidate’s course. How to Apply: The application process is two-fold. Application fee is R200 for both international and local applications. Application deadline is 31 July 2018. Applicants should note to apply for accommodation also. a. A letter of motivation for applying for the scholarship. b. A certified copy of the bio-data page of the passport. c. Evidence of application to study Implementation Science as the field of study in the MSc Epidemiology Programme at the University of the Witwatersrand of the School of Public Health commencing in the 2019 academic year. d. A comprehensive curriculum vitae including a description of relevant research and work experience. e. Two confidential referee reports should be sent directly by the referees to Mrs Gloria Bowes (Gloria.Bowes@wits.ac.za). 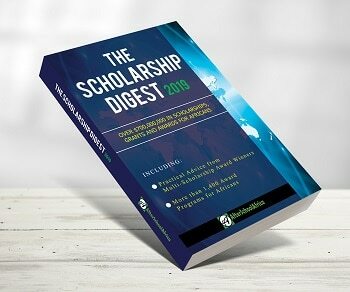 Scholarship applications should be sent to: Mrs Gloria Bowes (Gloria.Bowes@wits.ac.za) and copied to Prof. Latifat Ibisomi (Latifat.Ibisomi@wits.ac.za). Award Providers: University of the Witwatersrand, Research and Training in Tropical Diseases (TDR).